The new directions issued to the importers are likely to affect availability of goods during Ramazan as traders have halted future orders. KARACHI: Imports of fast moving consumer goods (FMCGs) have suffered a major setback after the Ministry of Commerce issued an SRO237 on Feb 19 mandating importers to print details and ingredients of the food products in Urdu and English on consumer packaging. “The shipment shall be accompanied by a ‘Halal Certificate’ issued by a Halal Certification Body,” the SRO adds. A number of importers have asked their foreign suppliers to put their shipment on hold following the issuance of SRO by the ministry relating to Halal Certificate, labelling, expiry date etc on imported items. Besides, many importers have already stopped making future imports. Moreover, the SRO order has also increased the shelf life remaining on the product upon its import to 66 per cent from 50pc. “I import olive oil and am required to produce halal certification for it?” an agitated importer tells Dawn. Other product lines such as breakfast cereals, olives and olive oil, honey, canned fruits, sweet corns, cheese and all other imported food stuffs have been affected. He added that other importers have also been unable to clear their shipments, while many traders, whose containers are on the high seas, are equally perturbed. He said importers need to line-up food item imports from various countries with a time frame of 25-35 days to reach Pakistan. 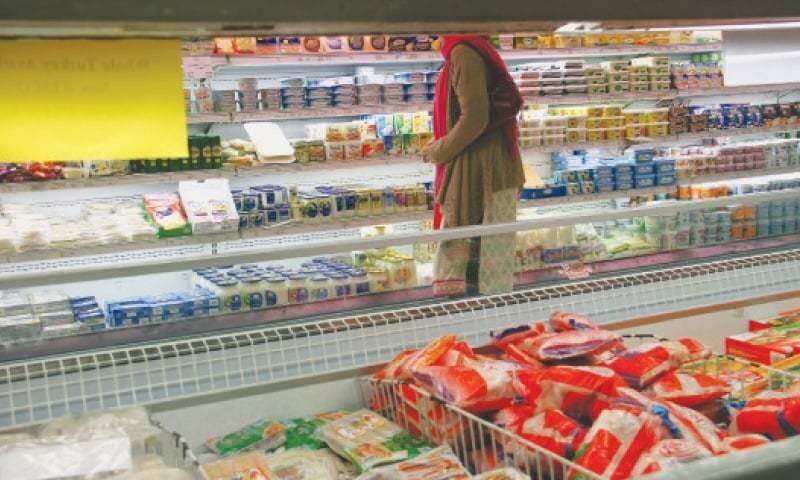 Consumers may face serious shortage of imported FMCGs during Ramazan — expected in second week of May — in case, the matter is not resolved. He added that many importers have cancelled their contracts with foreign suppliers. Most people contacted by Dawn agreed that the real intent of the said order is to limit imports of what the government considers to be ‘non-essential items’, and the SRO is designed as a non-tariff barrier rather than any certification or labelling requirement. 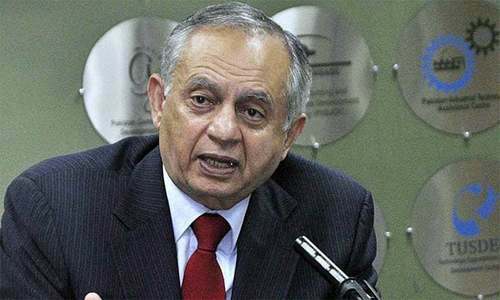 Former Karachi Chamber of Commerce and Industry (KCCI) president Haroon Agar said importers are in a quandary as the ministry’s order does not carry any implementation date but it has been enforced by relevant authorities from Feb 19. Importers are not opening new letters of credit or entering into bank contracts for future trade. As a result, the markets may face severe shortage of FMCGs in coming days. 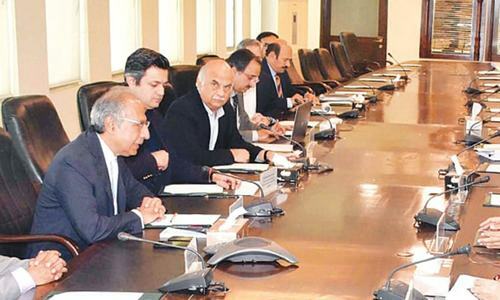 KCCI President Junaid Makda said he had complained to Adviser to Prime Minister Abdul Razak Dawood for not taking business community into confidence before issuing the SRO on due to which importers have suffer losses and suspend future imports. “The main aim of the move is to slow down imports drastically otherwise many edible items are basic needs of our people instead of luxury spending,” he added. The SRO, he said, has created a lot of confusion and anxiety in the business community due to the absence of implementation date. As a result, the date of issue would be interpreted as the effective date and customs officials at various levels would hold the clearance of cargo on the pretext of seeking clarification from the Federal Board of Revenue. It would lead to delays and resulting costs of demurrage and detention to the importers. Good move by Government , imported 2 billion packed food mostly consider luxury .first being an Agriculture country we should avoid it however people with money who can pay high for these luxury food items must know the ingredients / Halal and expires, with modern technology food ingredients are mixed with organic and inorganic, colors , chemicals etc. Also short expires imported food with reprinted dates is a big earning business for some import Mafia. I support the government's move to drastically reduce the import bill. by curtailing luxury items. Pakistan has ab agro based economy, yet we import foods of various types, just because we are too lazy to grow or process those foods in Pakistan, which they can easily do. The importers are 'fat cats' who have got into a bad habit of spending valuable dollars on commodities that can be produced locally. I want to see the day , when I walk into a Pakistani super market. I want to see shelves bulging with Pakistani food stuffs, like fruits. vegetables, cereals, dairy products etc etc. That would be a proud day! Government should address the seriousness a related issue ; allowing imported packaging material in scrap form. Just the other day I had asked my employee to bring a good powdered insecticide from wholesalers at the old sabzi mandi in karachi and he ended up bringing the powder in an imported packing which was labeled as Halal sauce. Imagine the consequences of this sort of mislabelling . Why the hell Pakistan importing food items anyway. Its an agricultural economy. Ban imports of all non essential food items. Olives should be grown in Baluchistan, there are numerous varieties that are suitable for Baluchistan climate. Give tax-break to industries for growing Olives in locally and producing Olive Oil. Encourage Honey production, Bee Farming in Swat and other Northern areas. These are the areas which government needs to focus, incentivize, production of goods in Pakistan which are being imported, to curb the import bill. By increasing tariff on the import of such items increase local competitiveness. good decision took by current government...it should be appreciated by all traders... those who are arguing that policy it does mean that they were involved in something wrong..which is harmful for human health but they are only considering their profit and loss rather than human health issues. Due to this SRO 237 Government needs to curtail or slow down the import in the country. The PTI Government led by Imran Khan is showing their childish nature. We may analyze Asad Umar previous performance as CEO of Engro Foods Pakistan. Due to his lowest performance his services were dismissed by Engro Foods. During his services Engro Foods suffered huge losses. He was unable to chalk out any policy in Engro to raise the company financial status of the company. I fail to understand how Imran Khan led PTI Government selected him Finance Minister. There is no any objection by any importer in Pakistan to use English and Urdu label on consumer food products. There is big problem with regard to the certification bodies name as mentioned in the last clause of the above unfortunate SRO 237. Time bar must be also allowed to all importers because how it is possible SRO 237 issued by Ministry of Commerce in Pakistan on 19th February,2019 but our Customs Department informed that the shipment made by 18th February,2019 it means Bill of Lading and Airwaybill issued till 18th February,2018 can get clearance of their imported containers not after than. It is totally ridiculous and needless to say that the SRO 237 is being issued by Ministry of Commerce without considering its merits and de-merits. If Government is trying to increase the export on behest of harassing importers is not acceptable.